To shut-up or not to shut-up? One of the greatest feelings in the world is accomplishing a huge success that not only you can see, but that others can see, as well. Writing a book and getting published is, without question, one of the most exciting experiences of my life and one of the most meaningful. Since Julie and I first completed our book, all we’ve wanted to do is to tell everyone we know (and don’t know) about our achievement. We are so very proud of ourselves and are not ashamed to admit it. We want to sing our praises, hear what other people have to say, and bask in the thrill of what we’ve accomplished. However, as understandable as it may be that we want to glory in our success and announce it to the world, there comes a time when we need to shut-up about it. What I mean is if I constantly market our book and jam my spectacular success down everyone’s throats, they’re eventually going to become tired of what I’m feeding them and they will get sick of my self-proclaimed awesomeness. I wouldn’t blame them. I would, too. I’m sure you know what I mean, reader. Have you ever known someone who only seems interested in talking about what they have achieved or who sounds like their own personal marketing campaign for their job, skills, creative work, or whatever other feat of which they are (and should be) proud? After a while, if that’s all you’re hearing, you get tired of it and, instead of feeling happy for this individual, you kind-of want them to shut up about it in the worst way. Don’t get me wrong, I have no intention of keeping quiet about our book. The only way people will hear about it and talk about it is if Julie and I spread the word and do our best to market it like there is no tomorrow. I’ve come to accept that this is likely going to irritate some people for a while (hopefully only to a minimal degree) because let’s face it, repetition gets on the nerves of most people at the best of times. That being said, although I can take a few eye rolls in stride, I don’t ever want to reach the point where I start alienating people and losing support because were driving them crazy and they dread hearing about us and our book series. I guess what I’m really trying to get at is it is tough to make a personal achievement the center of attention for the long-term, without annoying people and, at the same time, finding creative ways to keep them interested. It is a careful balance of knowing when to market and when not to market. Sometimes, that can be one heck of a slippery slope. Plot Holes and Typos and Errors! Oh, my! If you’ve ever edited your own writing, chances are that you have likely been amazed at the number of mistakes in your work. Even more maddening are the times when you continue to find glaring errors in what you had felt was a polished piece. Repeatedly spotting new problems in the same work starts to make you wonder if you are incapable of reading all of the words in a sentence or wondering if someone is playing a trick on you by adding mistakes on purpose, just to mess with your mind (and sanity)! The continual discovery of new errors is a frustration that Julie and I have been facing since we began editing our manuscript. Although we knew that our first draft was far from flawless, I think what surprised me the most wasn’t the grammatical errors and typos that we found, but was rather the number of statements that were utterly nonsensical! It is easy to forgive typos, laugh off word repetition, and shake your head at a massive run-on sentence. It’s even easy to accept certain grammatical errors if you don’t consider yourself a master of syntax. However, what I found particularly stinging to my pride was discovering that what I had originally thought was a powerful statement, turned out to be not only weak, but also didn’t make any sense! If you’re a writer, you likely know that repeatedly proofing your work can be a real PITA (pain in the a**) and very discouraging, at times. Be that as it may, editing is an absolute must if you’re serious about producing something awesome that you will feel proud to share with the rest of the world. As a creative writer, you have to accept the fact that you will need to edit what you write, more than once and – more importantly – it is imperative that you have someone else proof it, too. Whomever you choose to proof your work should be someone who not only has an incredible understanding of the English language, but he or she also needs to be able to work around/with your creativity. When writing a story, especially in the first person, not every character speaks or describes a situation or his or her surroundings using proper and perfect grammar. Some characters may be so rebellious that they will end some sentences in prepositions or *gasp* will occasionally split infinitives. That being said, this doesn’t mean that you can continuously commit grammar crimes in the name of creativity. There is always a balance that needs to be maintained. In other words, if you’re going to flip the bird to syntax, it should be intentional and you should know why you’re doing it. Otherwise, you’ll be found guilty of linguistic ignorance and your sentence will be a grammar lesson that you’ll be wise not to forget. Thankfully, Julie and I are very lucky to have a wonderful copyeditor who has exceptional grammatical skill and the ability to recognize that shackling some characters to every grammar rule in the book would snuff out their spirit. Beyond the proofing done by you and your copyeditor, make sure that you let a few regular readers (you can trust) experience your work in its flawed form. They may not circle all of your typos, but what they will point out are plot holes, and parts of the story that they found hard to follow, hard to believe, or that simply didn’t make sense to them. No matter how great or small, almost all of the feedback that you will obtain will be valuable. It will help you to figure out what changes need to be made and it will put your end goals into greater perspective. The proofing process of our manuscript has been a real eye-opener for me and I am grateful to everyone who has helped us along the way. The support we have received, as Julie mentioned in her last post, has been incredible. I hope you have an equally wonderful support team behind all of your creative endeavours. Big things are on their way in 2015. Let’s all work hard to make this year a time that is filled with good health and great happiness. We wish you all the best and hope that you will join us here as we begin posting again on a more regular basis. There will be lots to share and some great announcements to make, too. The last time I looked at the rough draft of the Book (not including the last week) was April 2010, but as I have resumed reading it over, some of the mistakes that I made in the past have come rushing back to me. Frustrating mistakes. Some of them are tucked neatly in among the words and are harder to spot. There is one, however, that continues to leap off the page and that feels like a slap in the face, despite my previous efforts to bury it away forever. 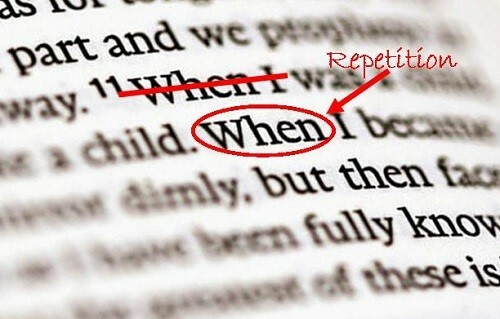 This mistake was as follows: the book was originally written in the past tense. Then came about the stroke of “genius” that caused the tense to be changed. I’m not laying blame on either Amanda or myself because, frankly, I don’t remember where the idea originated. One day, as we were editing the rough draft (possibly for the grant application of which we will never speak again), we decided to go back over the entire thing and rewrite it in the present tense. The point was that the present tense would, as the name suggests, give the feeling that the story is happening right now. We hoped that this would help to build more of an emotional connection between the reader and the characters. In theory, the story’s events would have a greater sense of urgency because they were being told as they were happening, instead of being expressed as an event that had previously occurred. It made sense, at the time. After all, if I write a scene with a character that you’ve been following for 150 pages and that you’ve come to love, if that character suddenly finds herself in a dead end, facing a giant, terrifying monster that looks like Alien and Bella Swan had a love-child, it seems more spine chilling to say “It’s right in front of me! There’s nowhere for me to go!”, than to say “It was right in front of me! There was nowhere for me to go!”. At least, that was my belief at the time. Turns out, I can be wrong. No, really! I can’t stand writing in the present tense when it comes to creative fiction writing. I didn’t realize how strongly I felt that way until I tried to recreate all of my carefully constructed descriptions (which, by the way, were written with far greater skill than the above example). The task took forever to complete. It took years off my life! It was careful, meticulous, mind-numbing work and, when the work was complete, (drum roll please) I liked the past tense better. More years off my life. I have read wonderful books that have been written in the present tense. When done well, this technique can, indeed, build that sense of urgency and emotional connection with the characters. However, that was not the case with the Book. Emotional connection and urgency aren’t exclusively a matter of the verb tense, they are developed through the quality of writing and storytelling! And so began the long and arduous process of rewriting the draft of the Book in the past tense, once more. I now have a life insurance policy. As I have retaken the task of editing – even after many, many revisions that followed the tense blunder – I am still discovering the occasional word that is written inappropriately in the present tense. Perhaps my subconscious left them in because they knew I’d return to the Book’s editing, one day, and felt that I needed something to remind me never to make that kind of mistake again. Gee, thanks, subconscious! I was hoping to relive all of that! From now, until the end of my days (which are much closer, thanks to that tense-switching task), I will follow my creative writing instincts and produce my work in the tense that I know to be right. If I feel that there is a lack of emotional connection or urgency in any part of the story, then I will describe the scenes more effectively. Lesson learned. Did you hear that, subconscious?! I Have a Back-To-School Monster in My Head! For the first twenty-something years of my life, I loathed the Labour Day weekend. It meant that I’d be back in class and have to return to studying after taking a comfortable, mushy-brain break for the previous couple of months. I detested school. That isn’t to say that I hated learning. I’ve always enjoyed that – still do. Unfortunately, only a small fraction of the school experience is actually about learning. A great deal of it has to do with finding out what teachers you have – invariably a mix of great, good, terrible, and terrifying individuals – discovering which people whose last names started with B or C would be forced to sit next to me, and measuring how long the days would feel for the next 10 months (not to mention having had to subject myself, yet again, to boredom, bullying, and the never-ending torture that was public transit). I don’t think that my school experience was tremendously different from that of anyone else growing up in a similar part of Canada. However, since my graduation, my experience has changed. I wonder if others out there are going through the same thing, but don’t admit it as openly as I do. Every year, to an ever-increasing degree, a feeling builds within me at the start of September. It isn’t just mean. It’s a monster inside my head. The year after I graduated, it was an odd sensation – a baby monster – in which I felt as though something dramatic should be “happening” in my life, but nothing did. Instead, I just kept working at the same job that I’d had throughout the summer. With each following September, that feeling has evolved, warped, and darkened. The monster (I’ve been toying with the name “Scooter” for him) has matured. Every year, I glory in the fact that I don’t have to go back to school, but other people still do! As much as I hated going to school, back in the day, I now adore the knowledge that I don’t have to, but other people do! But it’s not my fault! It’s the monster! What do I have against these students? I have no idea! I’ve never met the vast majority of them. It’s not as though I have children of my own. I’m not one of those parents who pops the cork on a bottle of bubbly when the school bus pulls away for the first time. I just have a nasty monster inside me that loves the fact that school’s back in, and I’m not going. Typically, I also feel a demented sense of pride in the despicable back-to-school monster that lives inside me. I usually tell people about it with a wicked grin on my face. This year, I’ve decided to take a new tack. Instead of embracing the monster, I am arming myself against him and am heading in to battle. As students start hitting the books, I am, too; at least, one specific Book. Now that school is back in again, I am channelling my energy toward more practical purposes. By the end of this week, at least one new page of manuscript will be created from the rough draft. Not a huge goal, but it feels that way at the moment (isn’t that always how it feels at the start of a school year?). From then on, I’ll be assigning myself weekly homework and I will make progress toward a completed book. This may not be a school year for me, but it is certainly going to be a time of learning, dedication, and hard work, and I’m going to love it. Scooter, you’re going down! Writing is Work, But I Still Love it! If there is one thing that I have learned from the infinite wisdom of cartoons and sitcoms (the primary educators of the children who grew up in the 80’s), it is that being prepared is key to any successful venture. How often did we see our favourite characters losing out because they didn’t bother to make the extra effort? Although I wouldn’t say that I always trust what “they” say, and I’m not exactly an expert on Thomas Jefferson, either*, it is exactly those attitudes that have been central to any of my efforts to be successful. When I think about any of the people who have made any kind of notable achievement – be it the founding of a company that is now worth a billion dollars or the creation of a successful fundraiser, raising a healthy child or training an aggressive dog – I know that an exceptional amount of blood, sweat, and tears were shed along the way. I rarely hear about people who have become successful in a project or in their lives (I’m not going to take the time to debate the meaning of “success” at the moment, so just go with this, please) who would say that it wasn’t any effort at all or that it didn’t take any work. Isn’t why the majority of us steer clear of get-rich-quick schemes, as tempting as some may seem? Because it isn’t possible to achieve great things without work. It just isn’t possible to plant some money trees in the yard (or, in my case, on the balcony next to my obscenely tall tomato plant) and expect to be able to enjoy a bountiful harvest of cash. And so, with this wisdom planted firmly in my mind, I have tried to attack the rewriting of the manuscript for the Book with a massive level of zeal and fervour; only to feel completely overwhelmed! My mind has been spinning since I started. I am normally a writer who dives forward into a piece, pounding loudly on the keyboard keys, until it is complete, à-la William Forrester from “Finding Forrester”** I don’t think. I don’t obsess. I don’t plan. I just do it. I write. That makes the editing of the Book a very unique undertaking for me. It’s huge and daunting, and it needs to work with the style, story, and design of my co-author’s contributions (the exceptionally talented and strikingly stunning Amanda Giasson, of course). I can’t just dive in, head first, and type. I need to work hard. I am certainly trying, but I’m starting to see that my problem appears to be that I have misunderstood the concept of “working hard” as it applies to the Book. The word “work” has a lot of negative association surrounding it, so when I tell myself to work hard at a task, it usually means that I’m forcing myself to do something unpleasant, but to do it with a maximum amount of thought and effort. In this case, I need to realize that this Book is one of the passions in my life that is the most important to me. Work doesn’t have to be a pain. It shouldn’t be! This is what I love. I need to get it through my thick skull that work is fun. Here, working hard means that I need to sit down and read what has been written, love it, digest it, and criticise it. Then, I need to go back over it and change it, then read it again, love it more, and digest some more (is it just me or does it sound like this editing work is going to cause weight gain?). Then, I need to do it again. Then, one day, it will be done. To get there, all I need to do is do it. It’s not just about the goal, it’s about actually taking the steps toward it. I was just about to leave that last paragraph as the closer, when I glanced up at the wall in front of me. What was looking back? A poster – a gift from Amanda from a few years back – that says “There is no way to happiness – Happiness is the way.” A quote from the Buddha. It looks like my co-author had the answer to my struggle, all along. Waddaya know. * Thomas Jefferson – I can admit that I have now reached the point that grade 10 history class was so long ago that I remember Jefferson nearly exclusively as “the Louisiana Purchase guy”. ** Finding Forrester – A relatively entertaining movie that I adore, not necessarily because the film was exceptionally clever or unique, but because I feel a strong connection with the Forrester character. I’m going to be a grouchy shut-in when I “grow up”. I’ve already got the social anxiety and the love of writing. Now all I need to do is start obsessing about the birds I can see through my window, and to wear my socks inside out. What can I say, I aim high. When it comes to naming children, parents have a huge decision on their hands. Honestly, I’m not sure how they deal with the pressure. I don’t have any kids, but I have named dozens of people in the Book (I’ve decided to just call it “Book” for the purposes of this blog, since the real title is still top secret!). I must say, coming up with the character names for individuals who are supposed to be from another world is a very challenging labour! Not only have I tried extremely hard to make sure that the names of the characters seem to suit them in some way – by the way they sound, for example – but I also want them to be appealing and pronounceable. If you think that’s not very difficult, then don’t forget the fact that I’m talking about a story taking place in another world. This means that I can’t just call someone “Roberta” or “Peter”. If anyone has ever told you that there is nothing left on Earth that is original, they were right! If I string together any combination of sounds that seems to me is a highly unique but attractive name, the odds are that a simple Google search will pull up dozens of results from people (or their companies) who are halfway around the world, using that very same “unique” spelling. It takes forever to come up with just the right sounds that won’t already be found on this planet! When all is said and done, I’ve had to accept the fact that there will be times when – despite having taken great care to come up with the most original name and spelling that I can – there will be someone far away who has already had that name for many years (their whole lives, in fact), and that there’s nothing I can do about it. I just hope that if they have the chance to read what I’ve written, they enjoy the way that their own special name has been used.